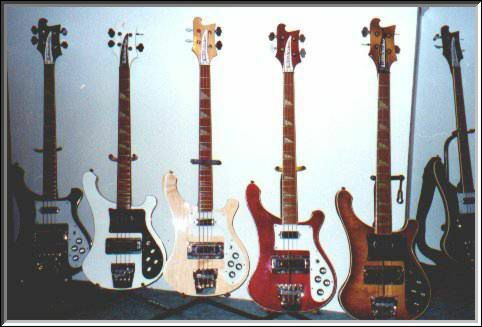 From Bill´s collection of basses. Impressive! Left to right: `95 4003 jet glo, `93 4003 white, `93 4003 mapleglo, `78 4001 burgundy glo, `79 4001 autumnglo, `86 4003 jet glo.